ATENEO coach Norman Black sees a much-improved rival when his Blue Eagles clash with the La Salle Green Archers in the UAAP men’s basketball tournament today at Smart Araneta Coliseum. Still alone on top, Ateneo shoots for at least a playoff for a semifinal slot against a La Salle squad aiming to boost its own Final Four bid in the blockbuster 4 p.m. showdown. 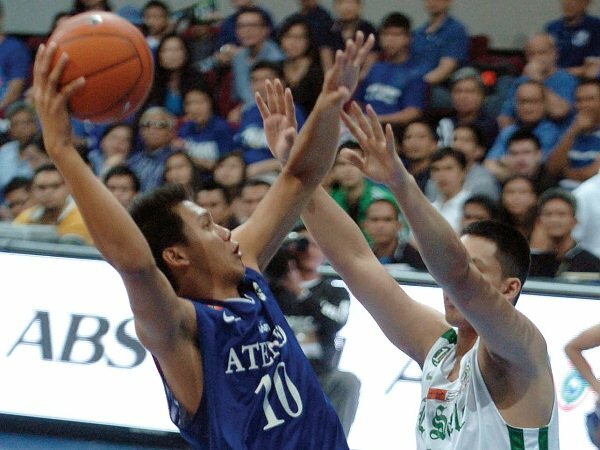 “They’ve been playing very well,” Black said of the Archers, who are riding on a four-game roll. “That will be another tough contest for us, especially since they’ve really improved their defense. They’re not really winning with their offense so much. But we consider ourselves a pretty good defensive team, so it should be a good matchup. ”University of Santo Tomas also goes for a crucial win against the already-eliminated Adamson in the first game at 12 noon. The Tigers hope to separate themselves from idle Far Eastern University. Both squads are tied again in second spot at 7-3. Also jockeying for the fourth spot with idle National University (6-4), the Archers (6-3) vie to stay in the top four with a win over the Eagles. La Salle coach Gee Abanilla hopes to get guard LA Revilla and big man Yutien Andrada back in top shape after both starters sat out the last two games due to injuries. “We’re hoping Yutien and LA will be able to contribute,” said Abanilla. “If you’re facing a team like Ateneo, you have to be complete. “You have to bring out your experience because they’re really strong. We’ll just do our best. ”Ateneo drubbed La Salle, 71-61, in their first-round duel with the star trio of Greg Slaughter, Nico Salva and Kiefer Ravena powering the Eagles in the final quarter. “Our game plan is to pound the ball inside—that’s what we do, that’s our personality and character,” said Black, “Most teams try to take that away by double- or triple-teaming Greg Slaughter and forcing us to shoot from the outside. So it’s pick your poison, I guess.” The Eagles are coming off a 77-64 triumph over the Tamaraws in a heated match that led to the suspension of FEU’s Arvie Bringas and Ateneo backup center JP Erram. Slaughter and Ryan Buenafe, though, got away with warnings along with three other FEU cagers. The Archers, meanwhile, hope to build on their thrilling 53-51 escape over the Tigers where rookie sensation Jeron Teng nailed a buzzer-beating jumper.